Nature always finds new ways to surprise. On Sunday 14th April winter finally relinquished is icy grasp and it was great to be walking around without a thick coat for the first time in months. A group of Wren group members gathered in warm sunshine in Wanstead Park to conduct the last waterbird count of the 2012/13 winter season. Our first impression, looking out over Heronry lake, was how empty it was. Yes, there were lots of Coots on their stick-island nests. And yes, there were small groups of Tufted Ducks, the males resplendent in their black-and-white plumage, and loafing Mallards. But gone was winter’s flock of Pochard. And gone, too, were the record-breaking numbers of Gadwall that we’d grown so used to seeing. It did not promise to be a particularly dramatic count! But first impressions can be wrong. 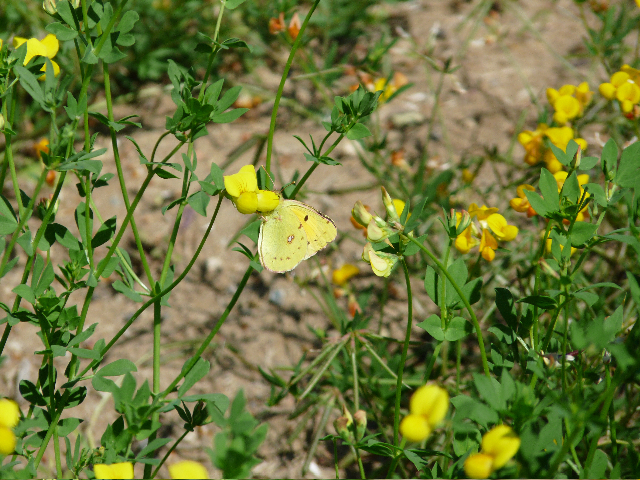 David had already seen two Brimstone butterflies by the time he joined us, and as we were walking around the old sewage works an Orange Tip flew past. We weren’t able to get good views of this early-season species but were luckier with several Commas in the area cleared by the practical work team during the icy months. Andrew had had the foresight to bring a camera and managed to get some nice shots of one of this species nectaring on some brilliant yellow Coltsfoot. As we worked our way up the eastern side of the Ornamental Waters we saw several more Commas and the day’s butterfly variety was added to later with a Peacock near Shoulder of Mutton. &amp;amp;amp;amp;nbsp; At the southern end of the Ornamentals a large mass of frog spawn got us all peering into the water. Sure enough there were several Common Frogs, some in amplexus, and at least two Common Toads. Then I heard a call of “Bat!” as Linda, Andrew and David saw what was probably a variety of pipistrelle flying through the trees. After an all-too-long winter in hibernation, bats are now desperately hungry and will emerge during the day to feast on any flying invertebrates. Not to be outdone, Pam saw a medium-sized fish, which she later identified as a young Perch. &amp;amp;amp;amp;nbsp; By this time we had successfully worked our way through all the classes of vertebrate animals. (Earlier, two sunbathing Red-eared Terrapins were spied on a log at the western end of Perch pond. OK, they’re not native to the UK but they’ve been here a long time and I think they’re still of interest.) &amp;amp;amp;amp;nbsp; Despite all these distractions our focus on waterbirds remained. Although we made no dramatic finds, we discovered that 16 Gadwall and seven Shoveler remained on the park’s ponds and lakes and that Little Grebes were paired up at both ends of Heronry and on Shoulder of Mutton. Also, that the Great Crested Grebes remained on the former lake. There was other bird interest, too. Three Swallows flew over during the course of the morning; we were able to watch a pair of Sparrowhawks displaying over Warren Wood; and a Common Buzzard, closely attended by Carrion Crows, drifted south over the Glade. &amp;amp;amp;amp;nbsp; All in all, a great morning to be out and about. It’s amazing what a splash of warm sunshine can do. 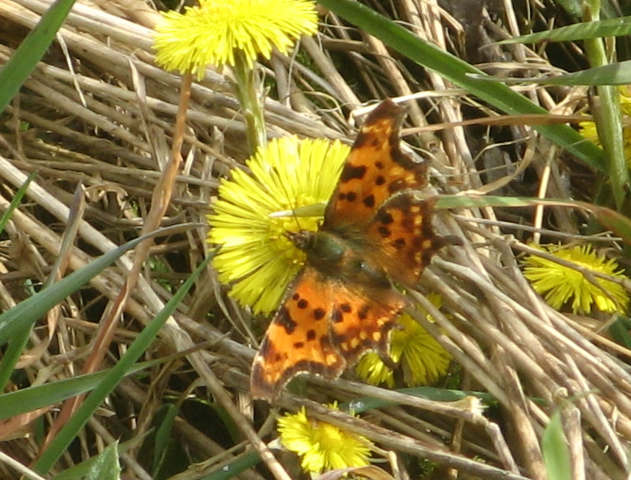 &amp;amp;amp;amp;nbsp; Tim Harris Picture: Comma on Coltsfoot by Andrew Spencer STOP PRESS: 15 April: 27 Wheatear, 5 Common Redstart, 3 Whinchat, Ring Ouzel on Wanstead Flats.